Uh-oh, potato salad. But wait. There's a new must-try salad in town, and it's packing some serious great taste! Why wait? Try it today. Mix dressing, ketchup and Worcestershire sauce until blended. 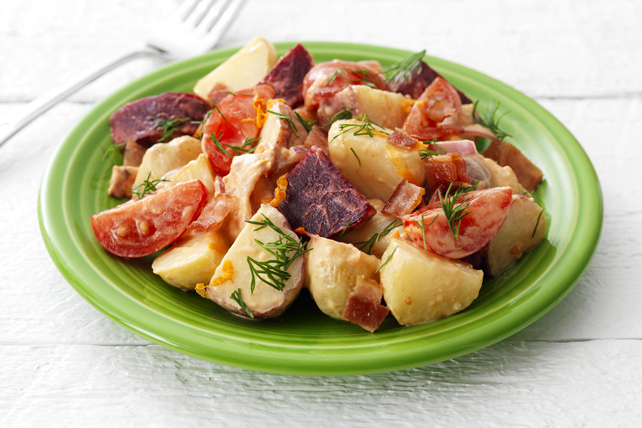 This flavourful potato salad can be prepared ahead of time. Combine all ingredients except bacon. Refrigerate up to 24 hours. Stir in bacon just before serving.